Sodium hydrosulfide is a yellow chemical compound with the formula NaHS. It has a low melting point of 350 °C. 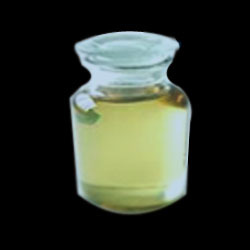 It’s obtained by half-neutralization of hydrogen sulfide (H2S) with sodium hydroxide. Generally NaHS undergoes two phase transitions. Below 360 K, a rhombohedral structure forms, and Below 114 K, the structure becomes monoclinic. The sodium hydrosulfide is obtained by iodometric titration, exploiting the ability of HS− to reduce I2.Thousand tons of NaHS are produced annually. Its main uses are in cloth and paper manufacture as a makeup chemical for sulfur used in the Kraft process, as a flotation agent in copper mining where it is used to activate oxide mineral species, and in the leather industry for the removal of hair from hides. We are supplying Sodium Hydro Sulphide to all parts of India. We are currently supplying to some of the leading companies in India and we give assurance to deliver our products to client’s destination within given time period.